Flatmattersonline - Last day to get registered for the 2018 Master of Creativity Online Video Contest! It’s the last day to get registered for the 2018 Master of Creativity online video contest. 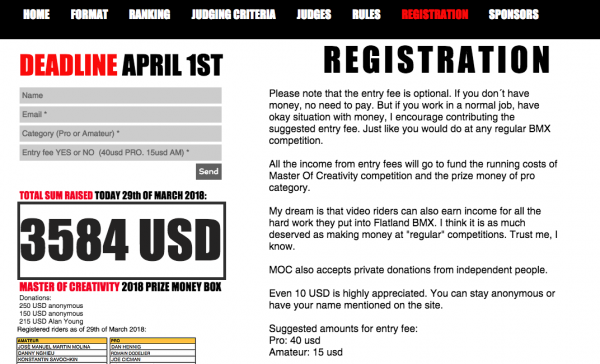 This year the contest is opened up to Am’s as well as Pro’s. 84 riders total involved so far, get yourself registered today and progress your riding, it’s all about your own personal battle with yourself. Let’s do this!